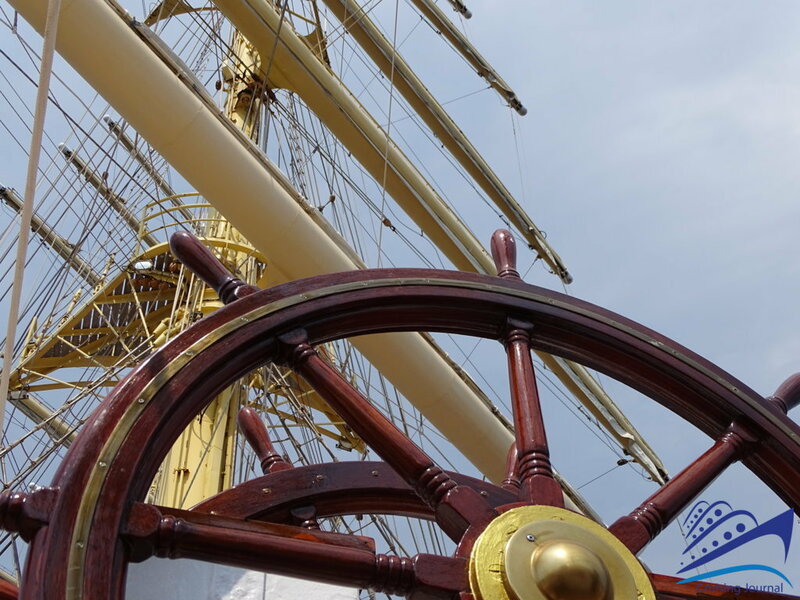 Once upon a time, sailing was the rule and the blowing wind moved the world. 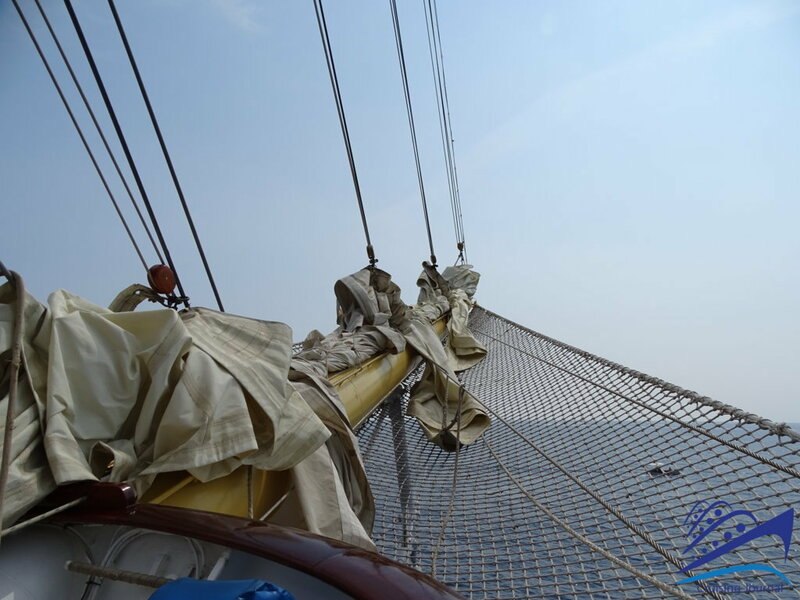 Today, however, sailing is something old-fashioned and a magical experience which does not seem to belong to the contemporary world. 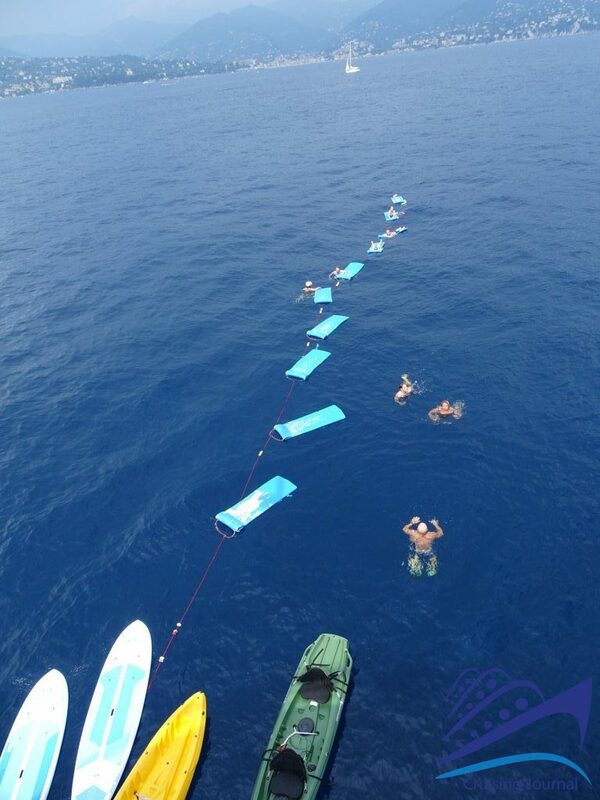 But with Star Clippers, sailing the world while enjoying the silence of the sea can still be pleasant and fun. 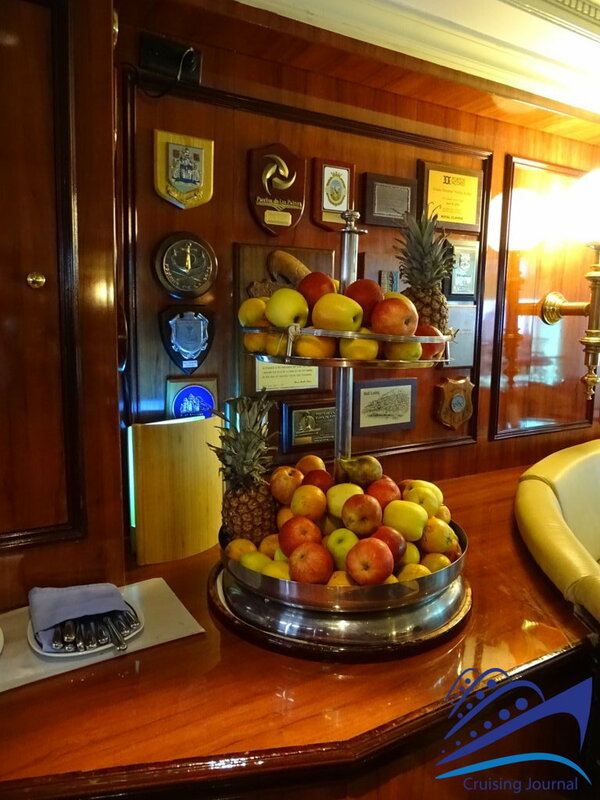 Indeed, today you can do it safely and comfortably, thanks to all the amenities modern ships can offer. 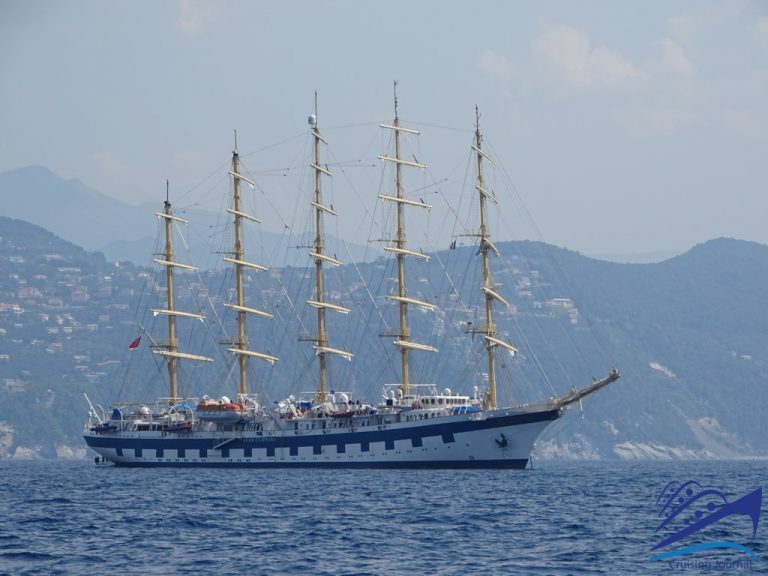 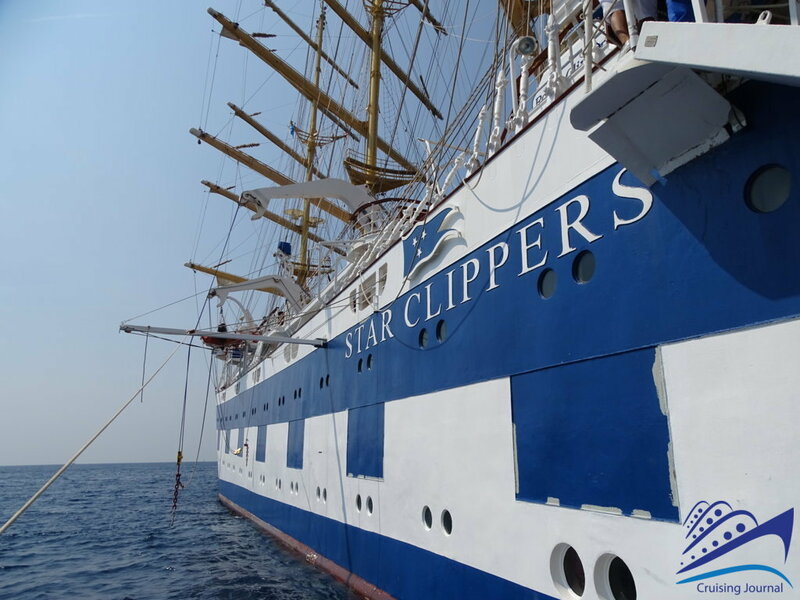 Royal Clipper is the largest unit of the Star Clippers fleet, to which a fourth ship (Flying Clipper) supporting the two other smaller units (Star Flyer, Star Clipper) will soon be added. 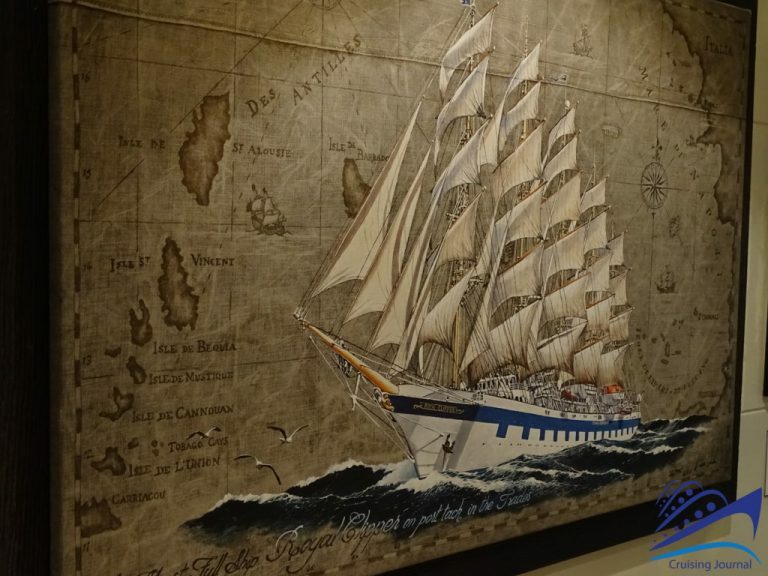 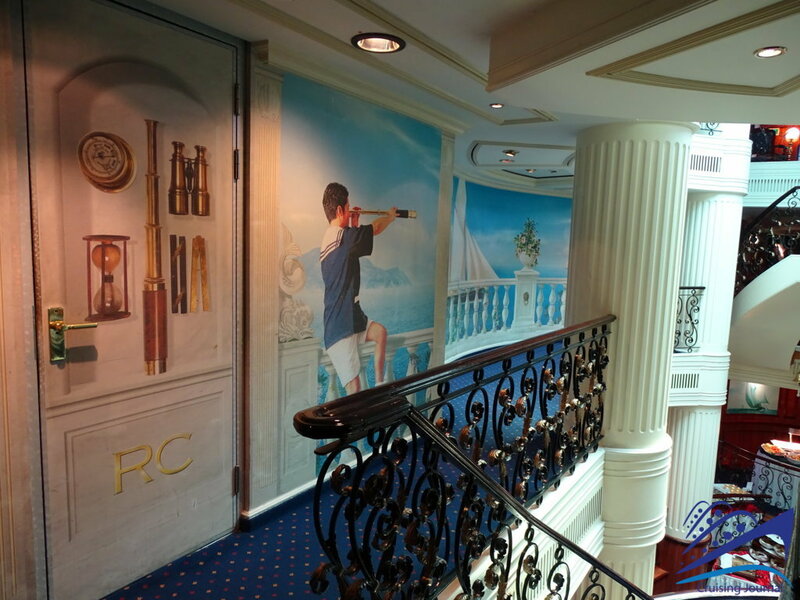 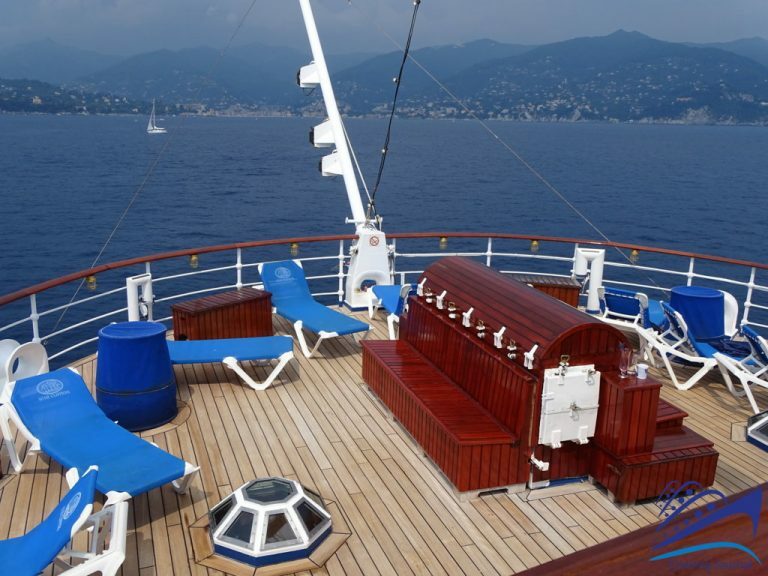 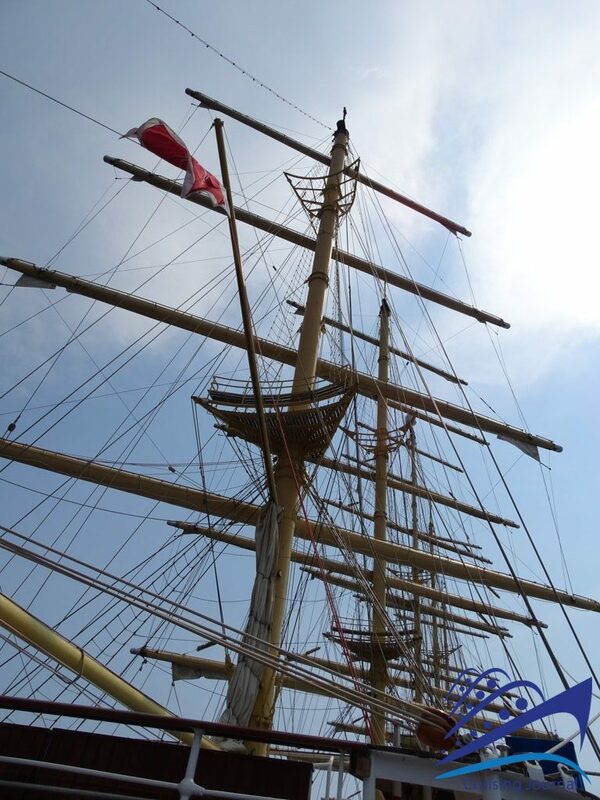 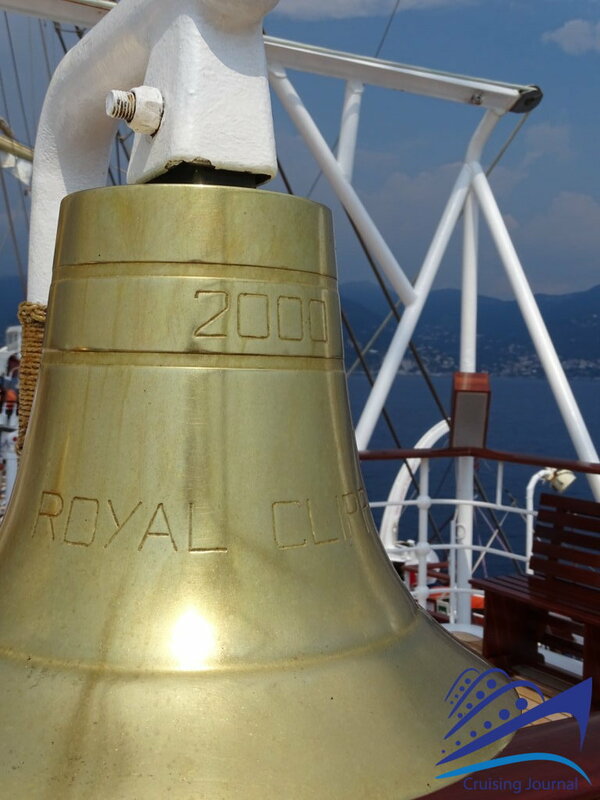 Launched in 2000, Royal Clipper consists of 4 passenger decks and a 134m long area with 114 cabins of different types. 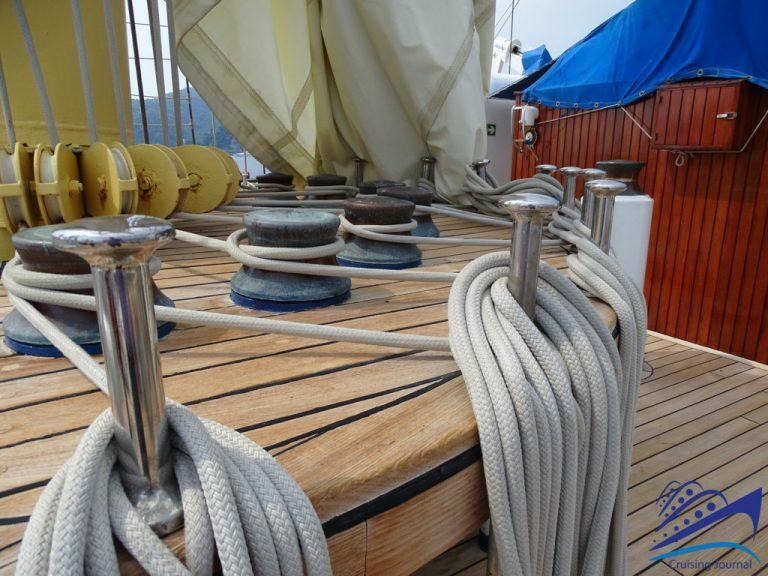 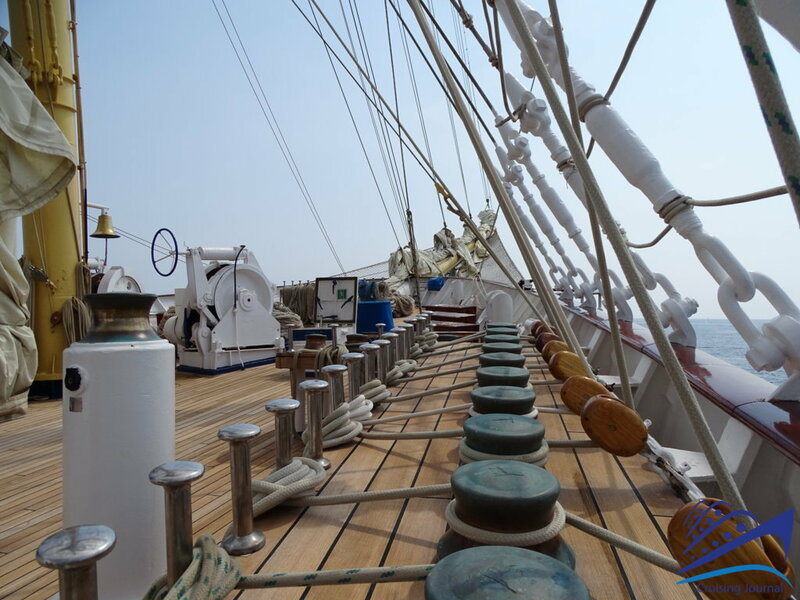 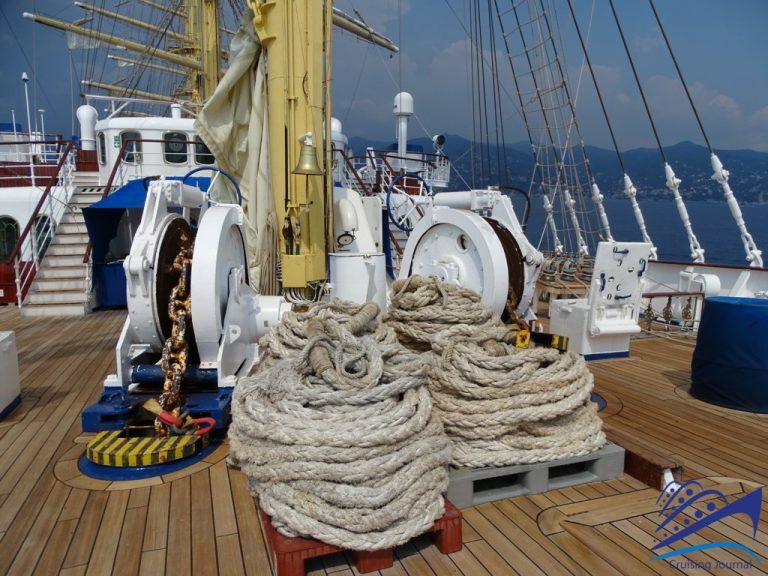 The Main Deck, with its ropes and wood, looks like an old sailing ship and is the first thing that passengers who get on board see. 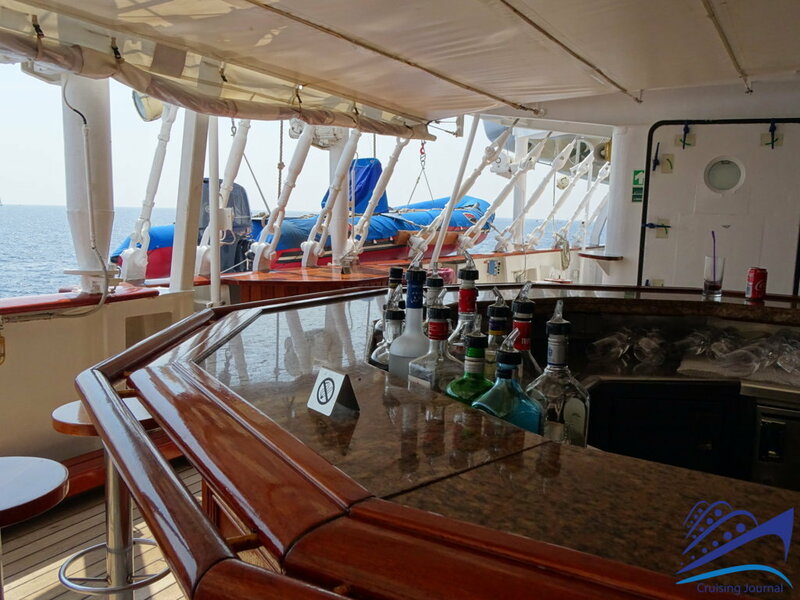 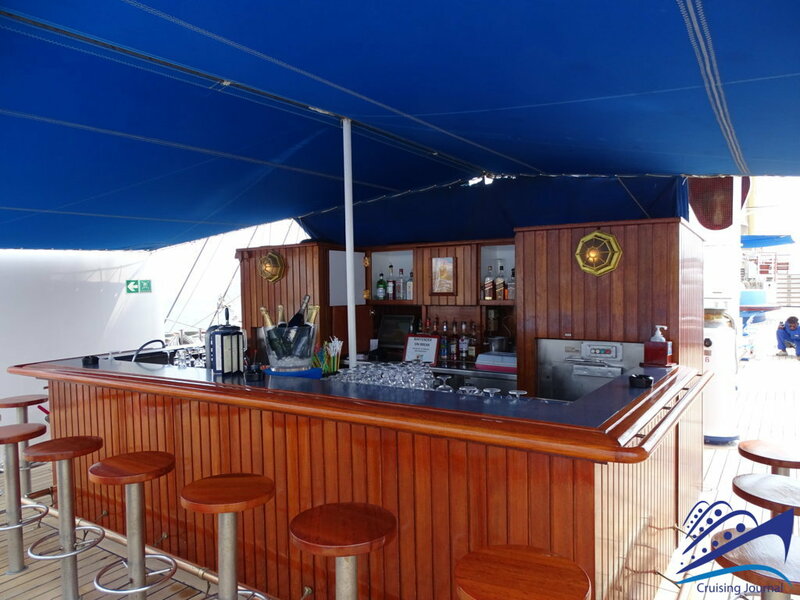 Outside, the Tropical Bar is the perfect place to enjoy the sea air at any time of the day. 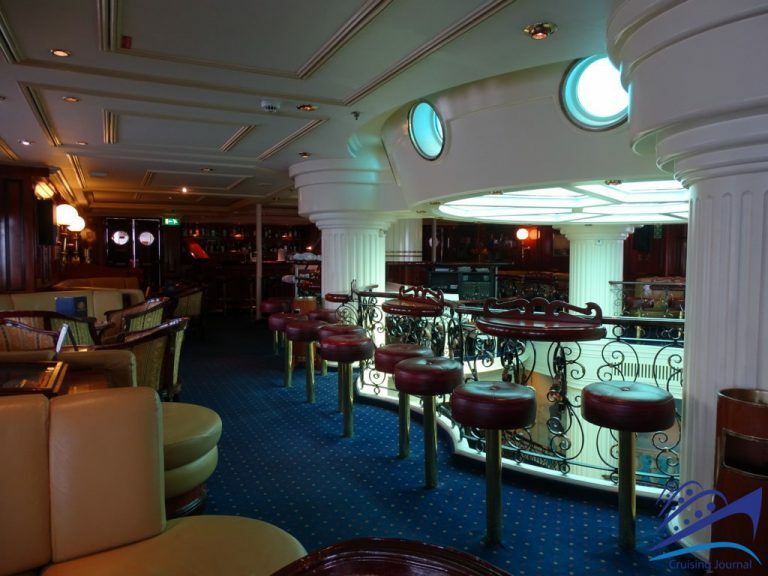 In the evening it turns into a dance floor, where you can listen to music and socialize. 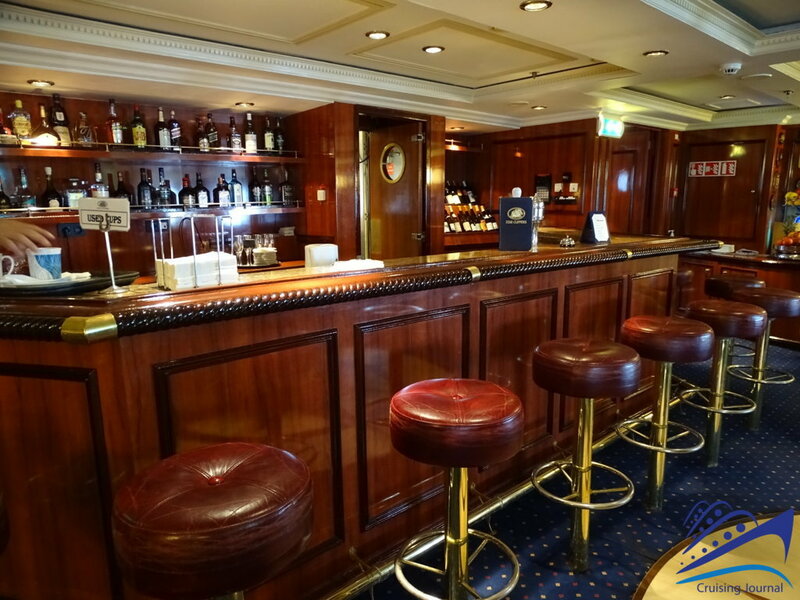 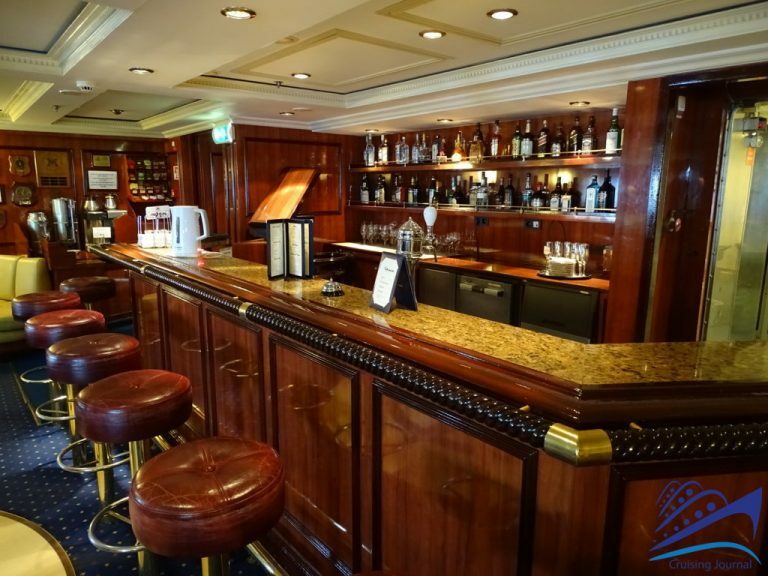 In front of the Bar, in the stern area, there is the Library, with its lovely and cozy interiors and many books in different languages. 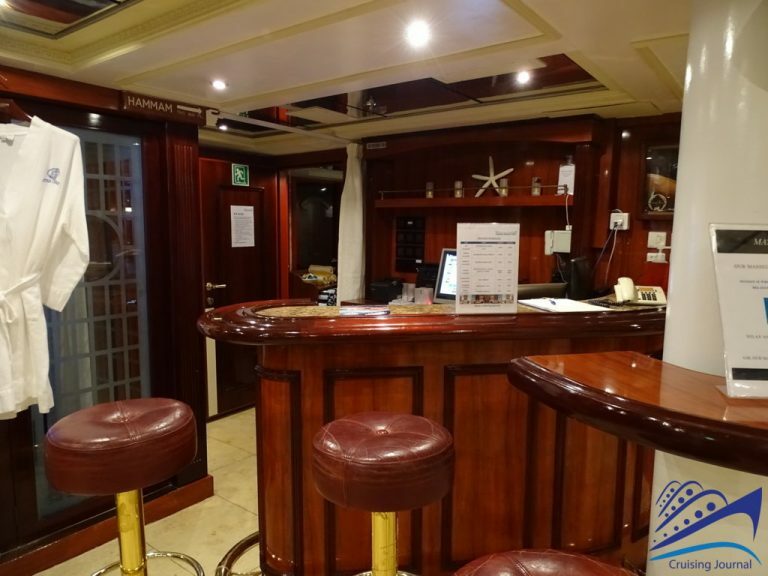 Behind it there is a small Solarium overlooking the stern. 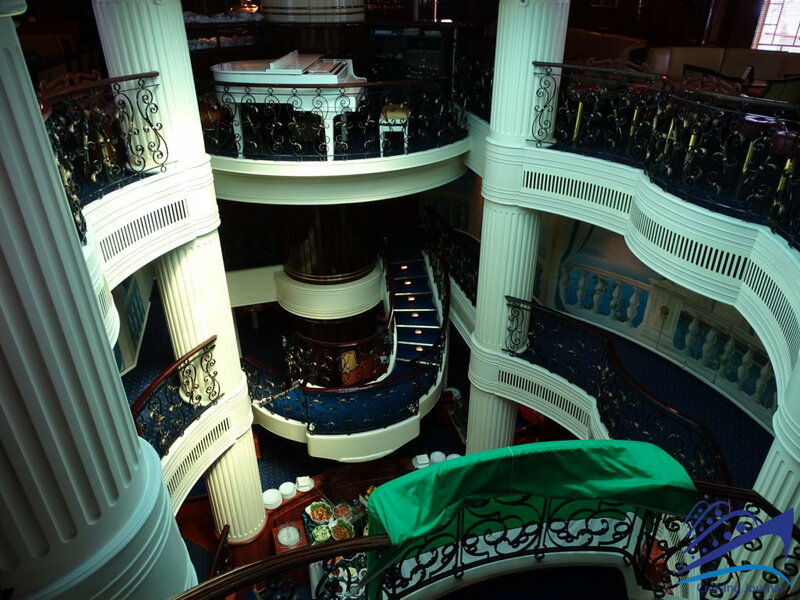 Walking towards the central area of the ship you will find the Atrium. 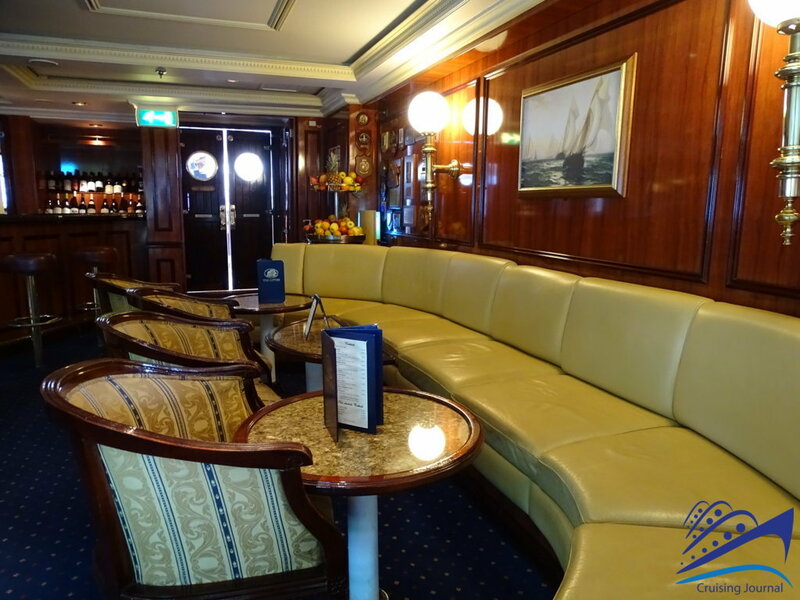 The PianoBar, with tables arranged on both sides and surrounding the Atrium, is the ideal place for a drink at any time of the day. 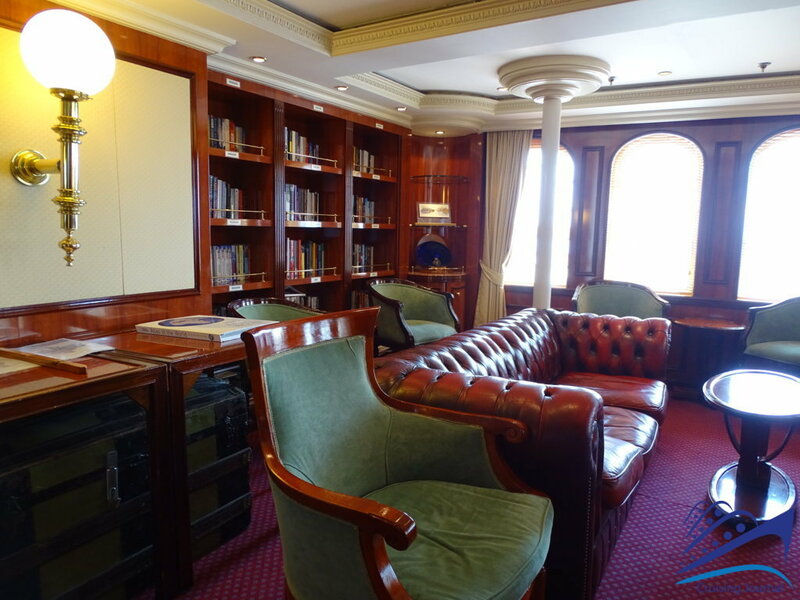 With its stylish atmosphere and its small armchairs overlooking the sea, it is also perfect for reading or talking with other guests. 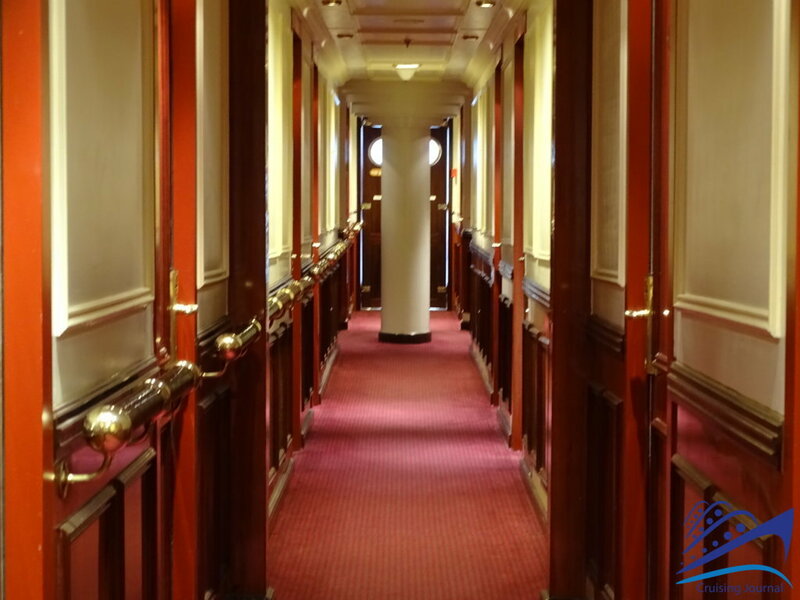 Walking along the corridor where Deluxe cabins are located, you will finally reach the bow Observation Lounge, that is the meeting room. 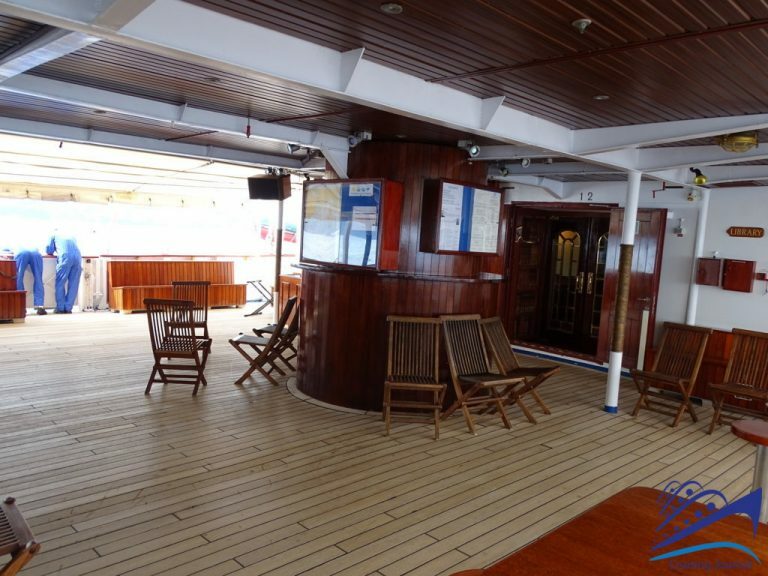 Going down, the Clipper Deck hosts several cabins and some common areas. 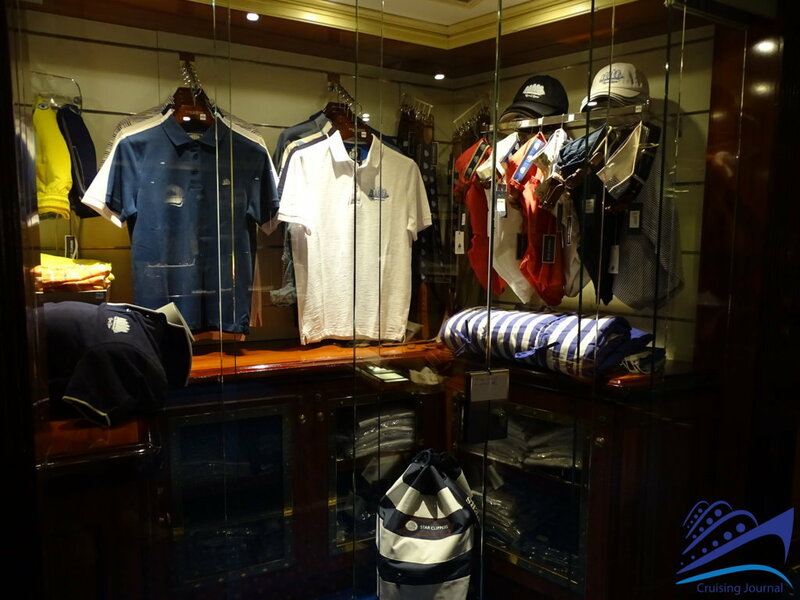 The Sloop Shop sells clothing, small souvenirs and other nautical items. 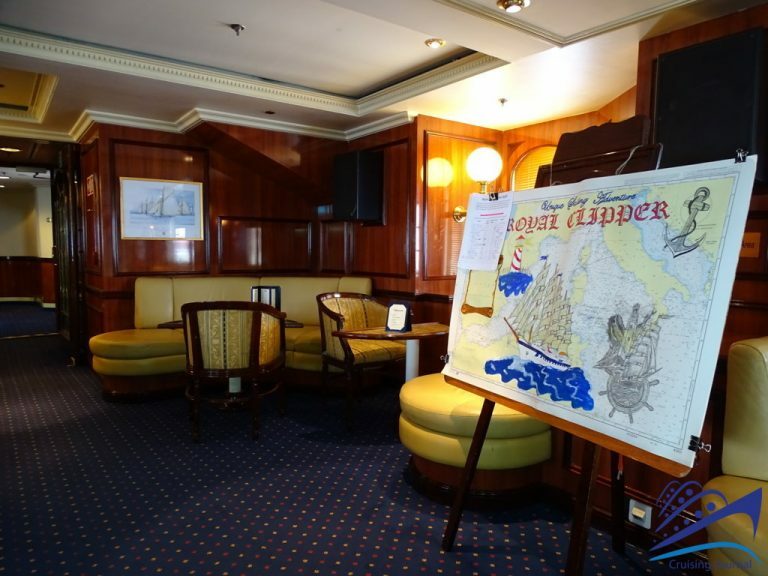 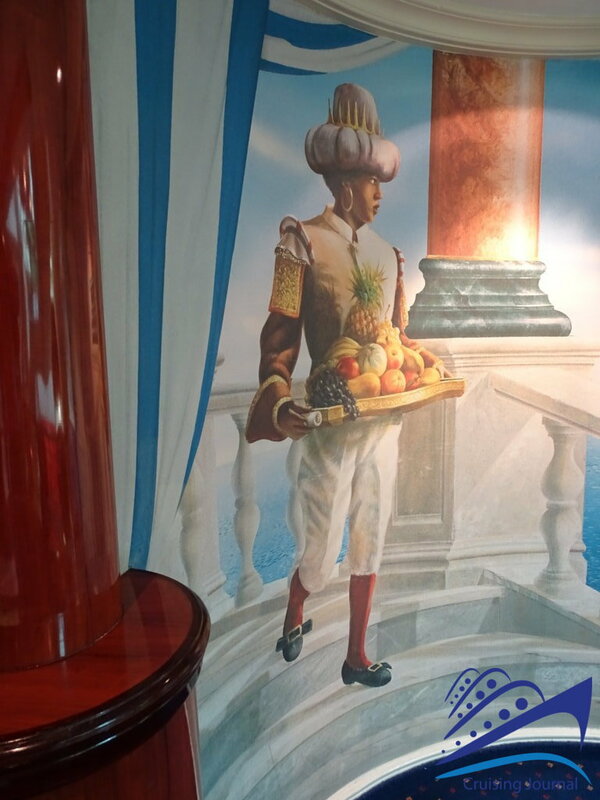 At the Purser’s Office you can request information and book the tours offered by Star Clippers. 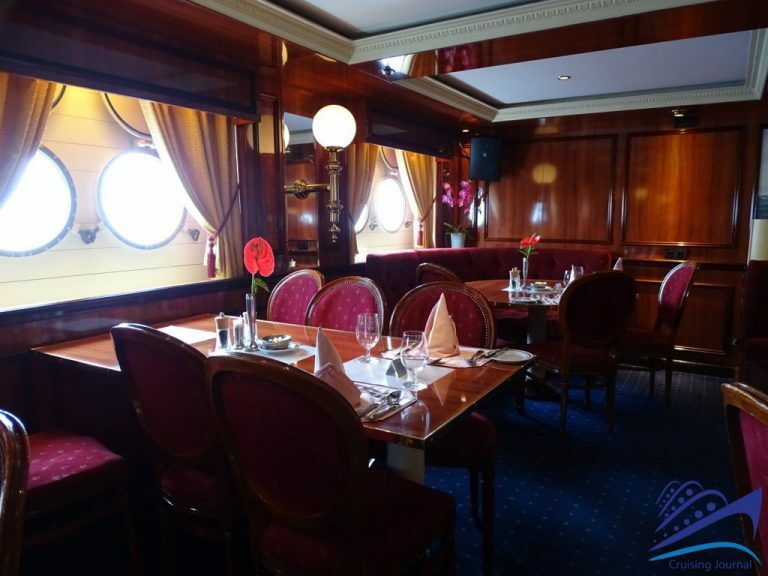 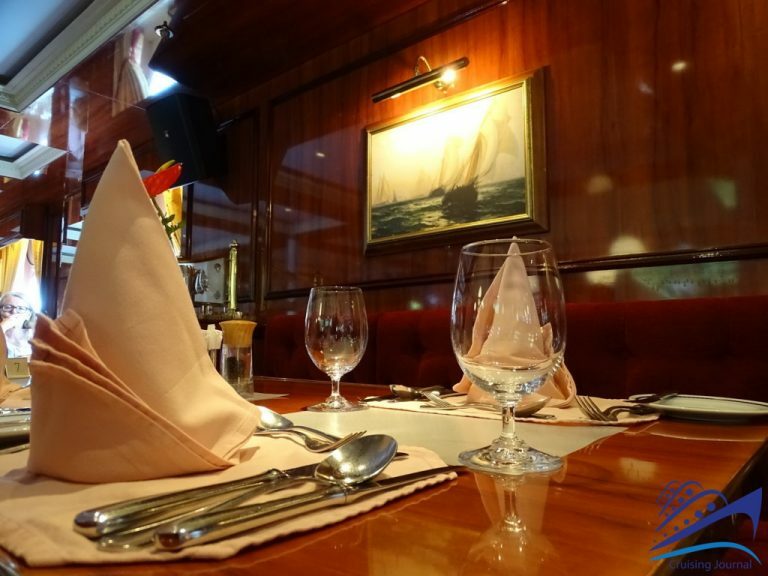 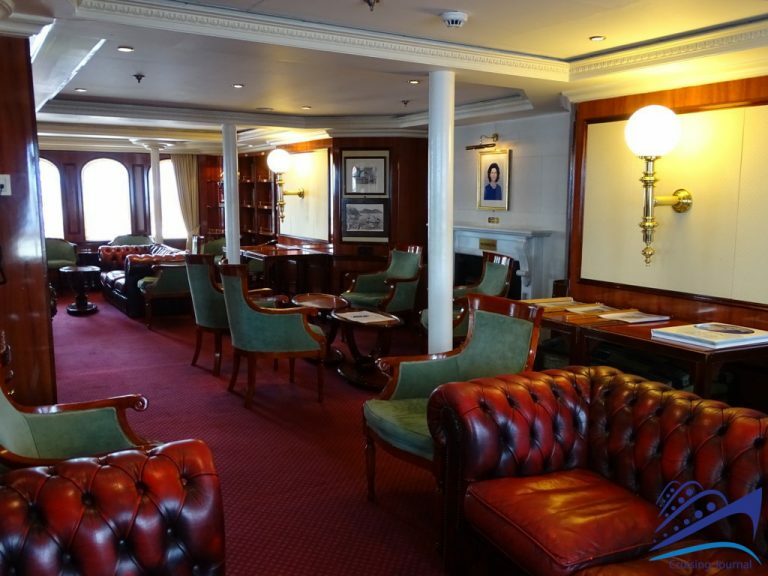 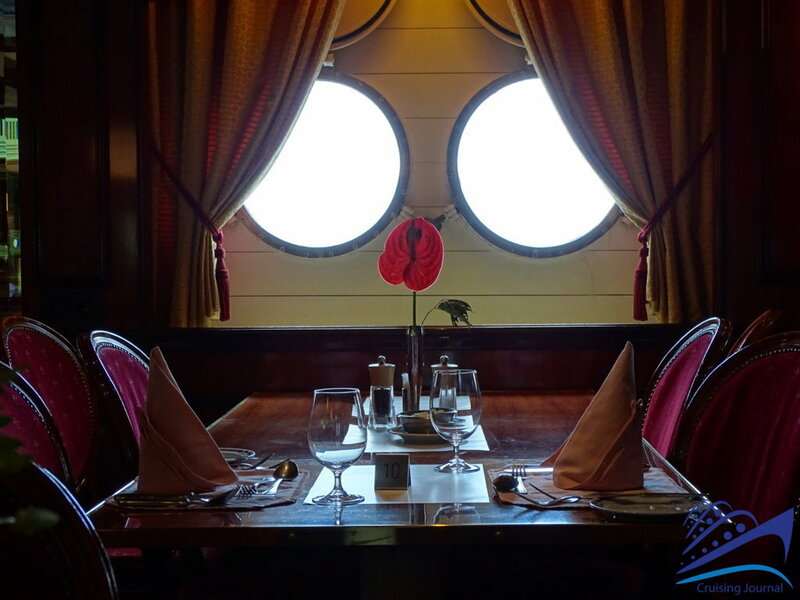 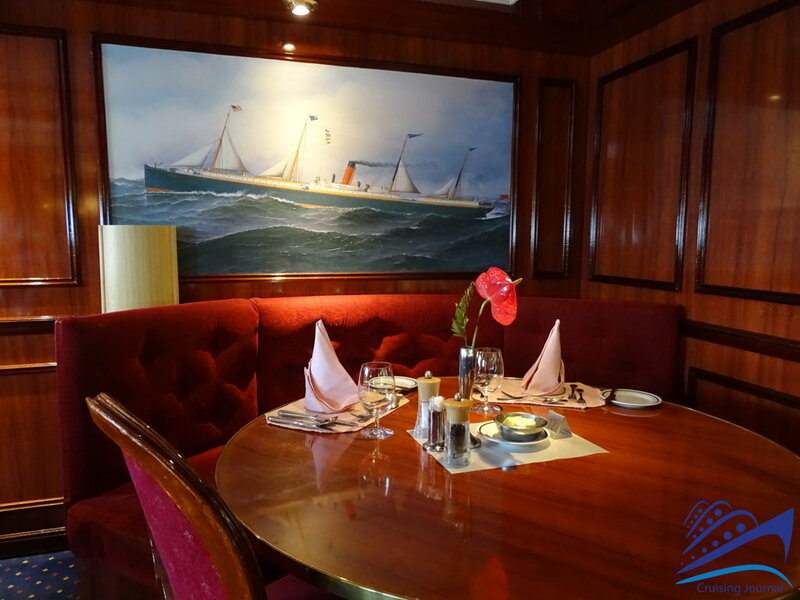 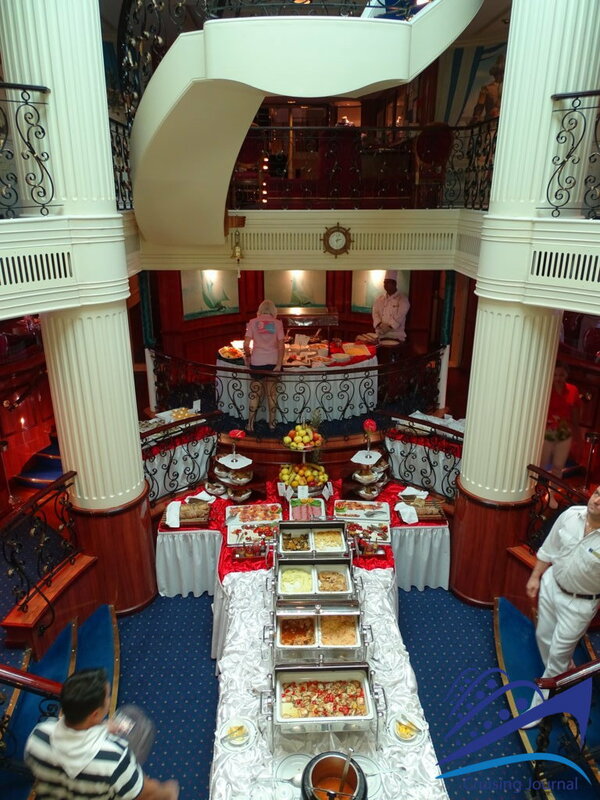 The Commodore Deck houses Clipper Dining Room, the cozy onboard restaurant, arranged over several levels. 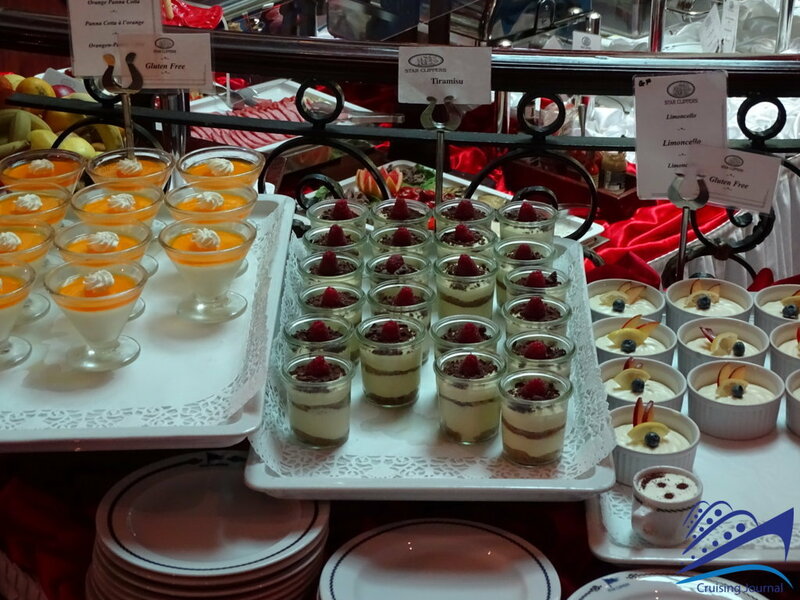 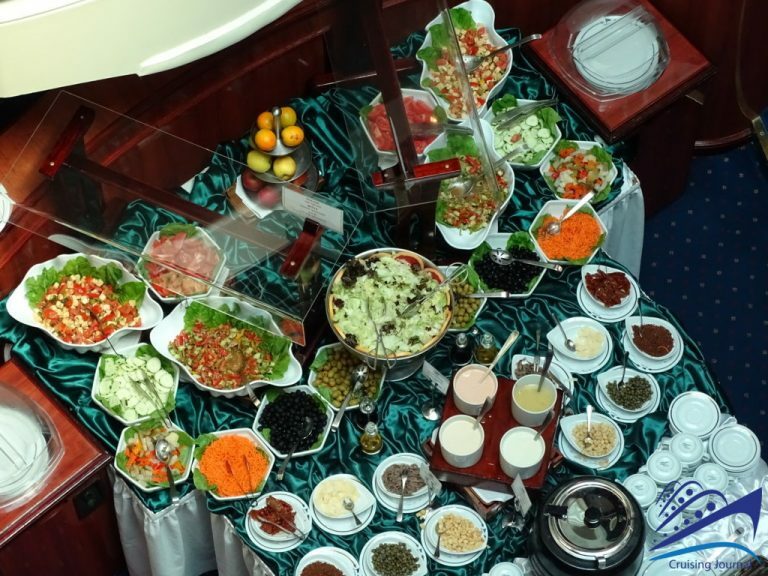 Lunch is buffet style, with dishes placed in the central area and a dedicated pasta station. 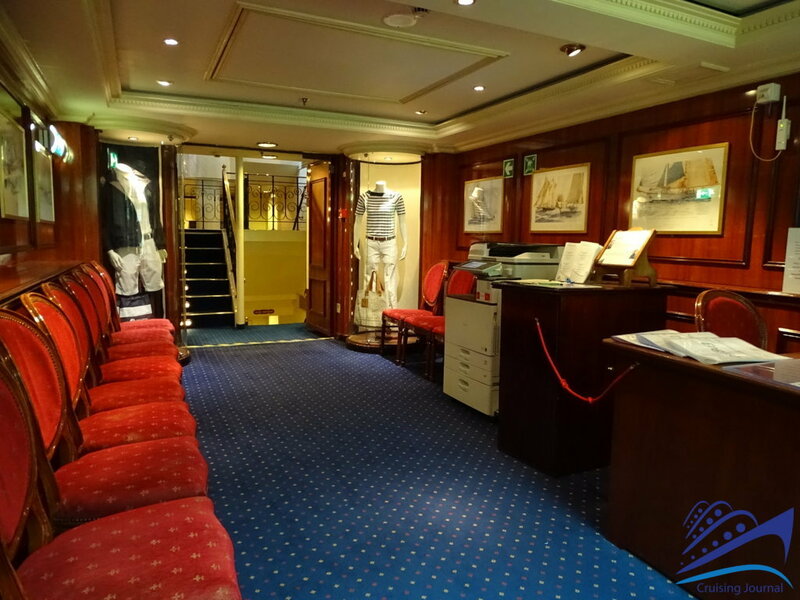 In the evening, the restaurant offers an à la carte menu with dishes served by waiters wearing a cool sailor suit. 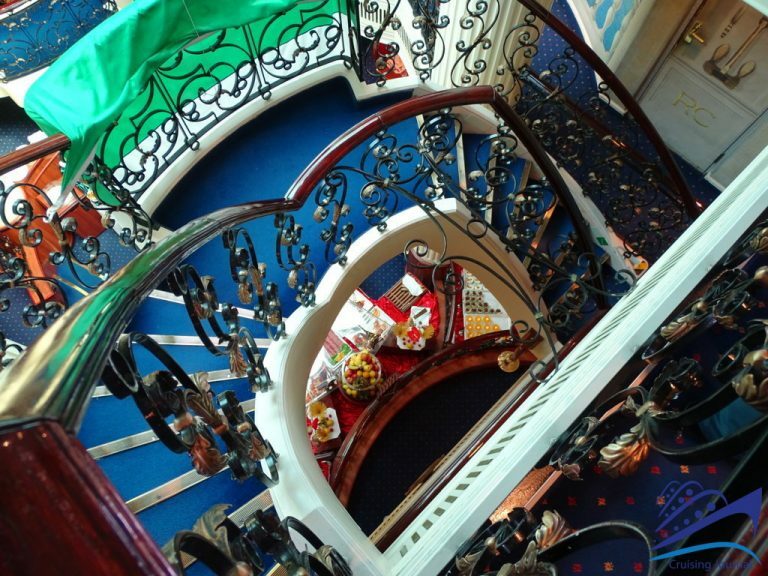 Further down there is Captain Nemo Gym, Spa and Lounge. 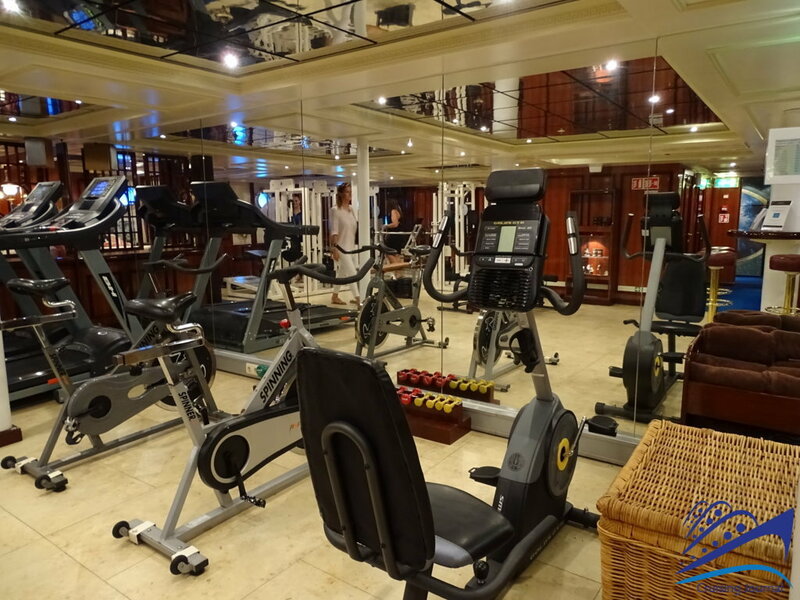 A really special gym, below sea level, where you can run or train while enjoying underwater views from the portholes. 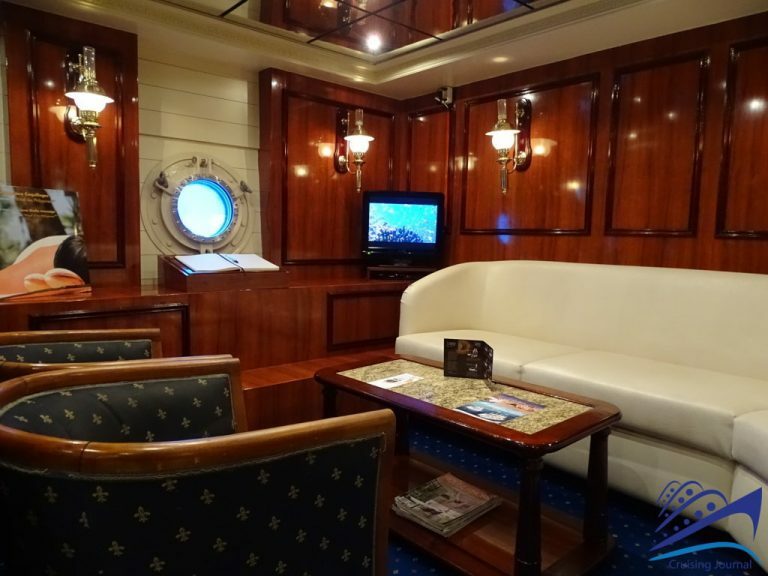 Here you will also find two small massage rooms and a small “underwater” lounge. 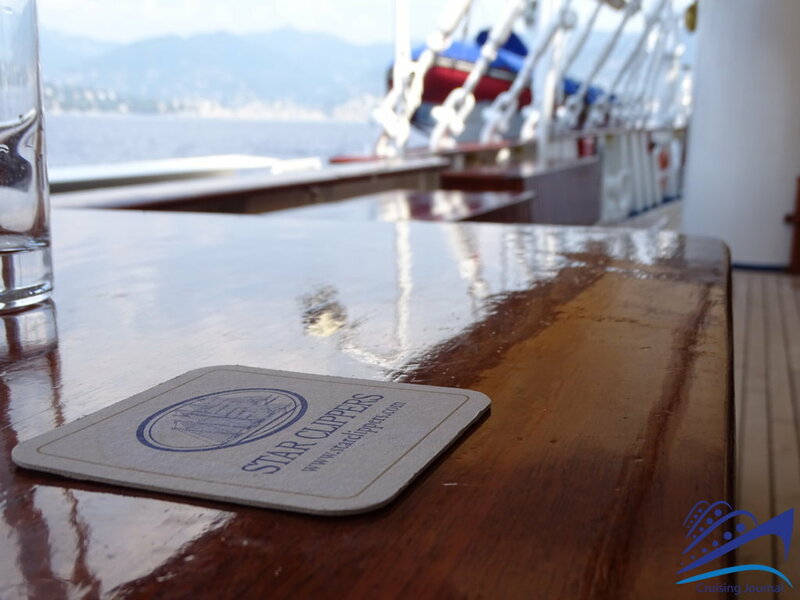 From the stern you can access the Marina, a platform from which to dive for a swim offshore or leave for a canoe or dinghy tour. 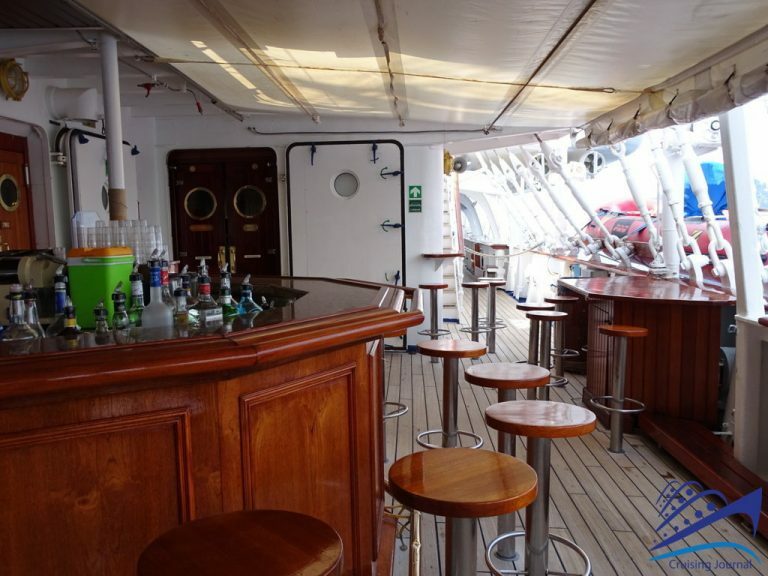 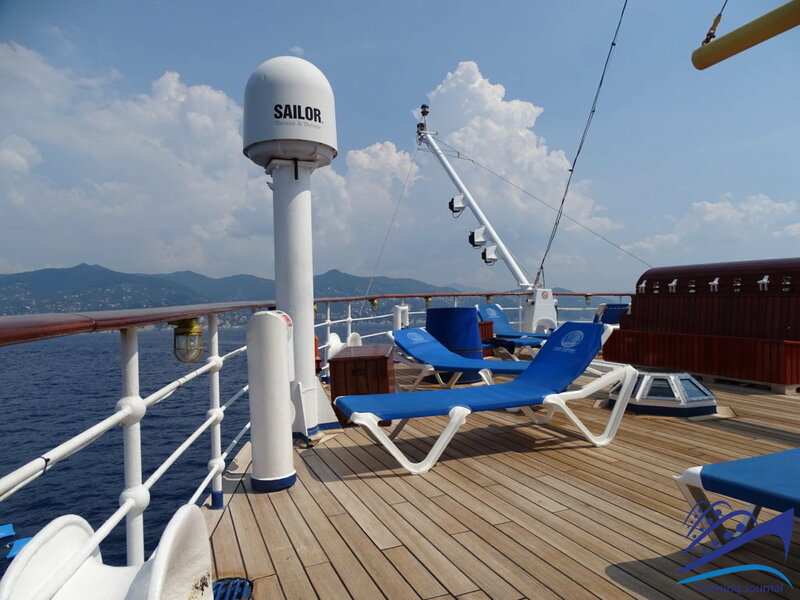 Last but not least, the Sun Deck, the highest one, and definitely the most evocative area. 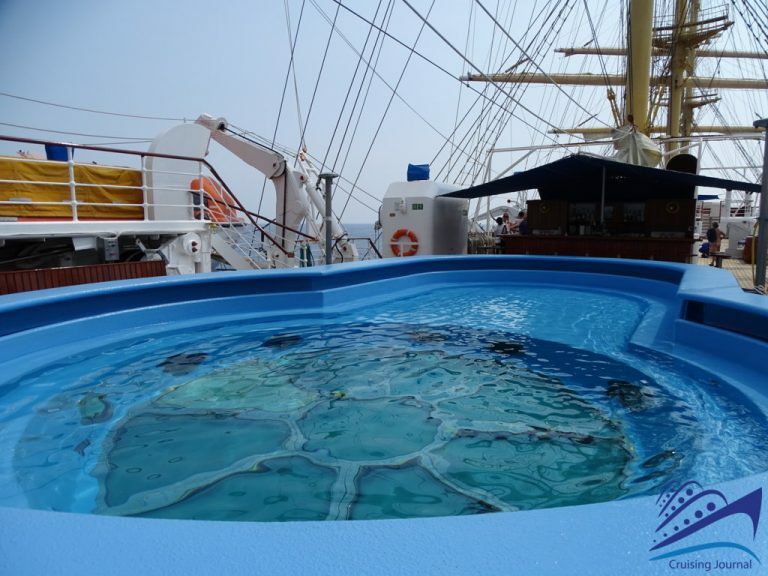 Look out to watch the sea, look up to get lost in the masts and sails, dive into one of the pools available. 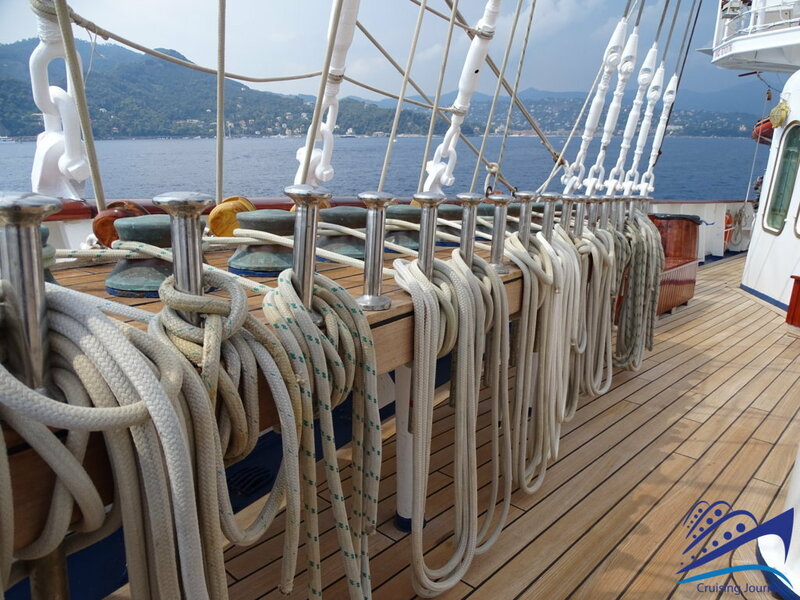 Stroll among the ropes, cradled by the sea, surrounded by the silence of the sea. 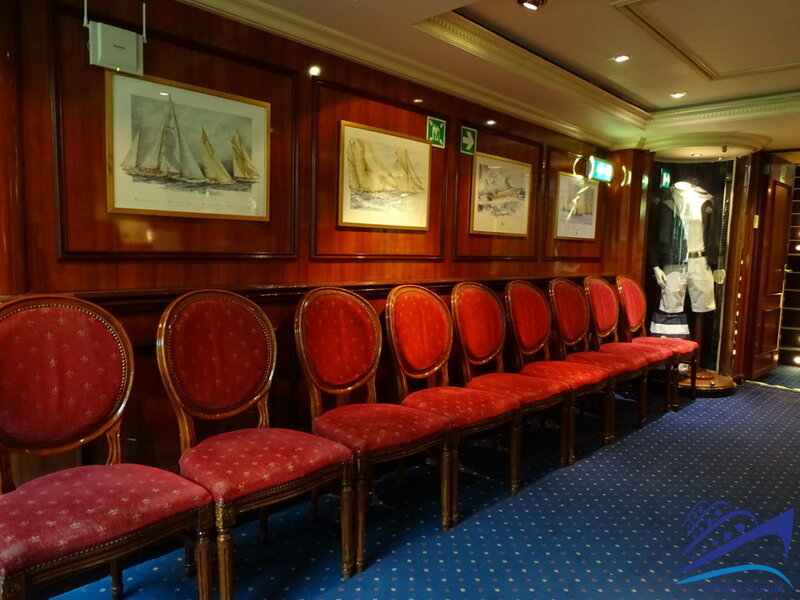 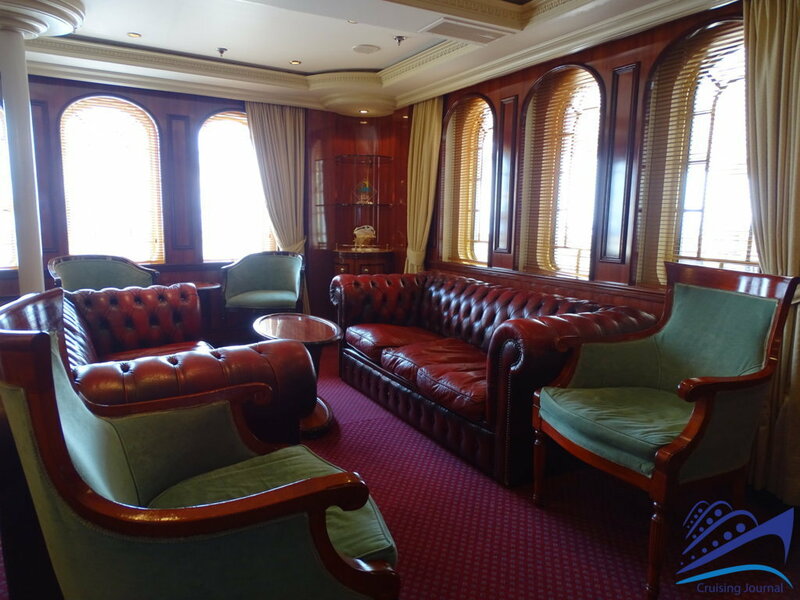 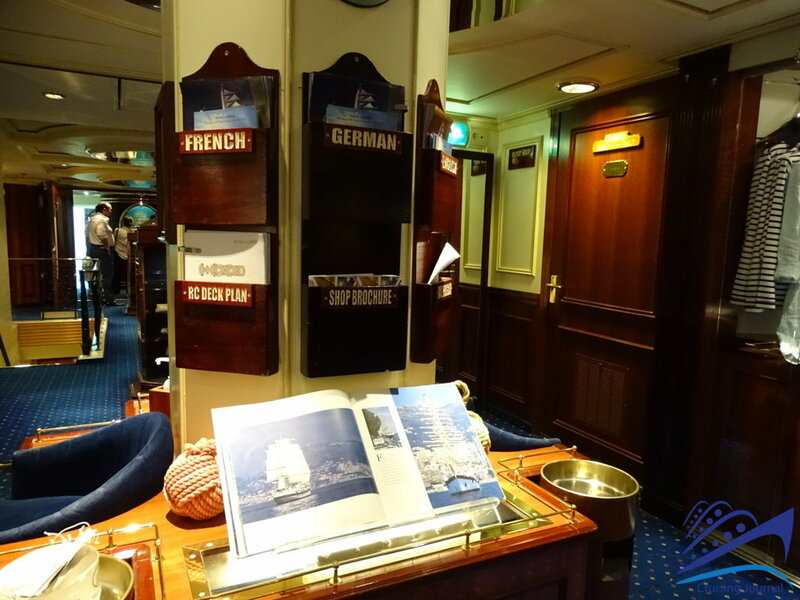 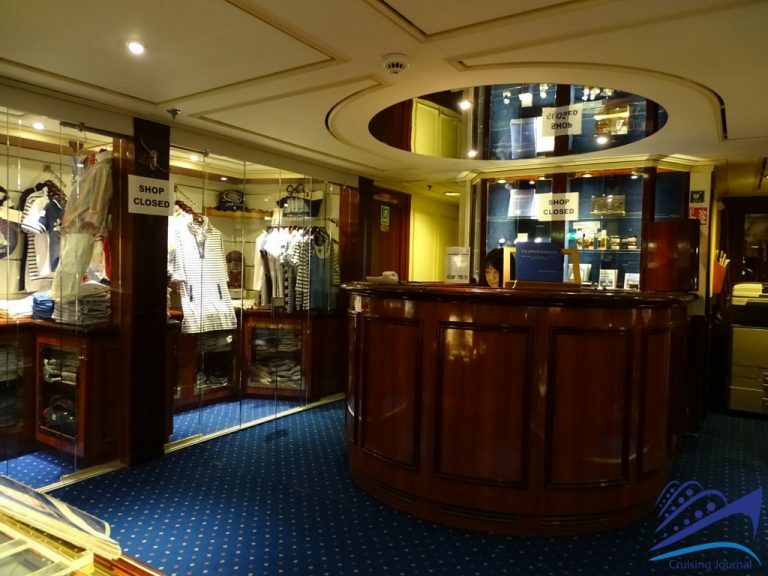 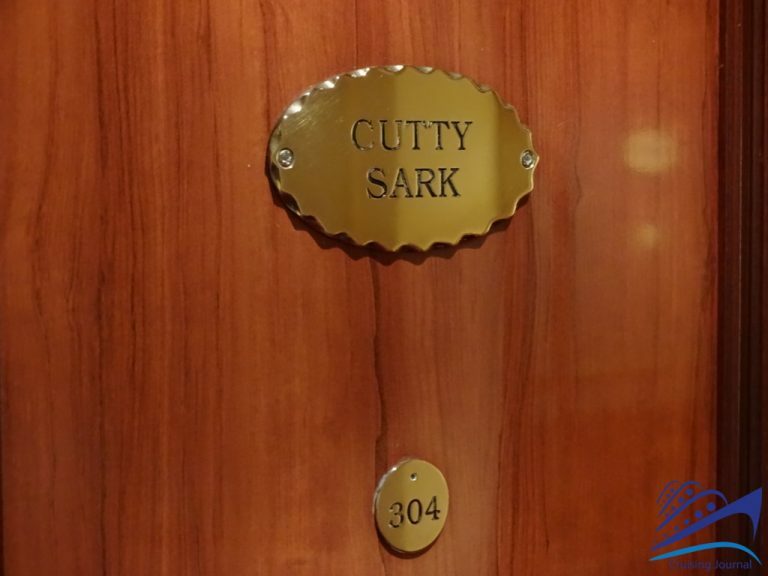 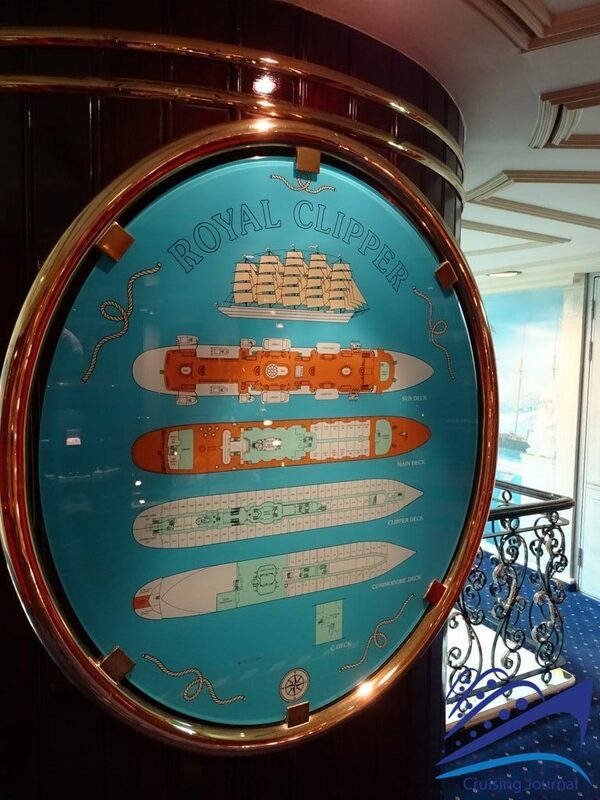 Royal Clipper offers multiple types of cabins. 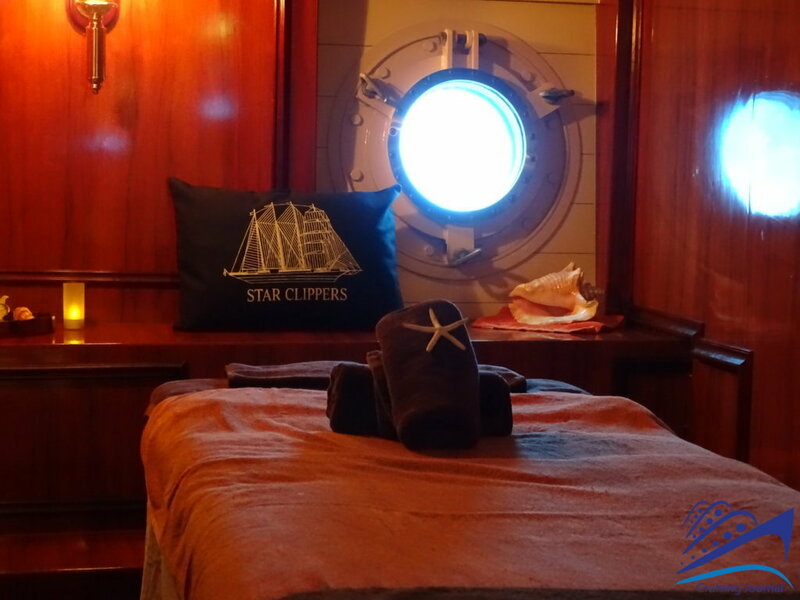 The inside cabins are located at the Clipper Deck and have bunk beds. Different types of outside cabins are distributed on all three decks used for guests, and Deluxe cabins, with a private balcony are definitely the most exclusive. 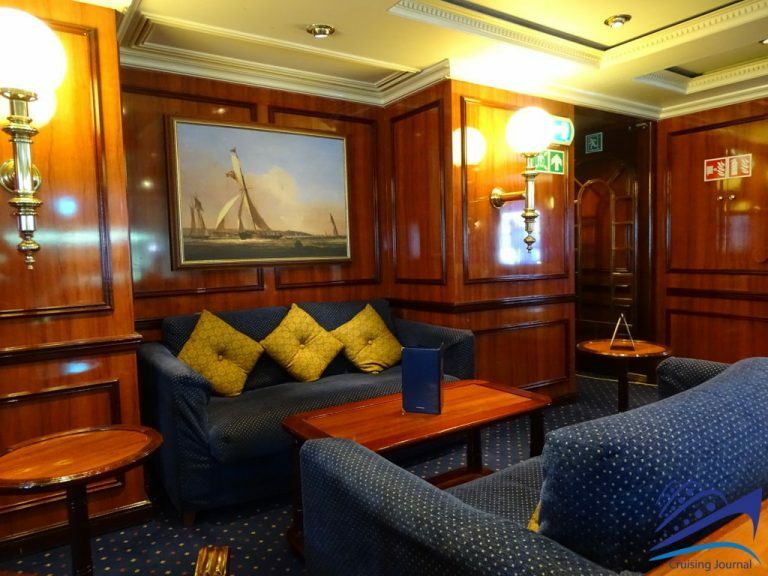 But, if you want to live a truly unique experience, choose one of the two wonderful Owner’s Suites overlooking the stern. 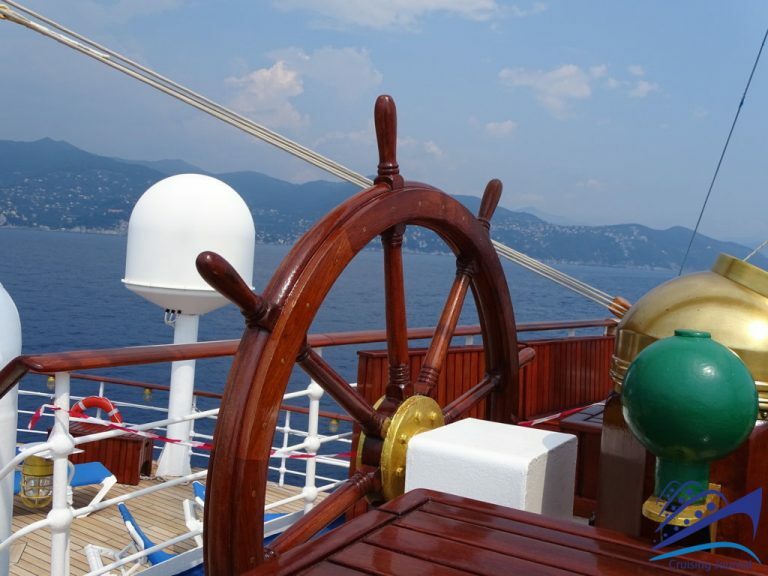 Look out over the bridge, between the wheel and the sextant, and enjoy a unique navigation experience. Relax in the stern, surrounded by the silence of the sails, watching the wake of the ship. 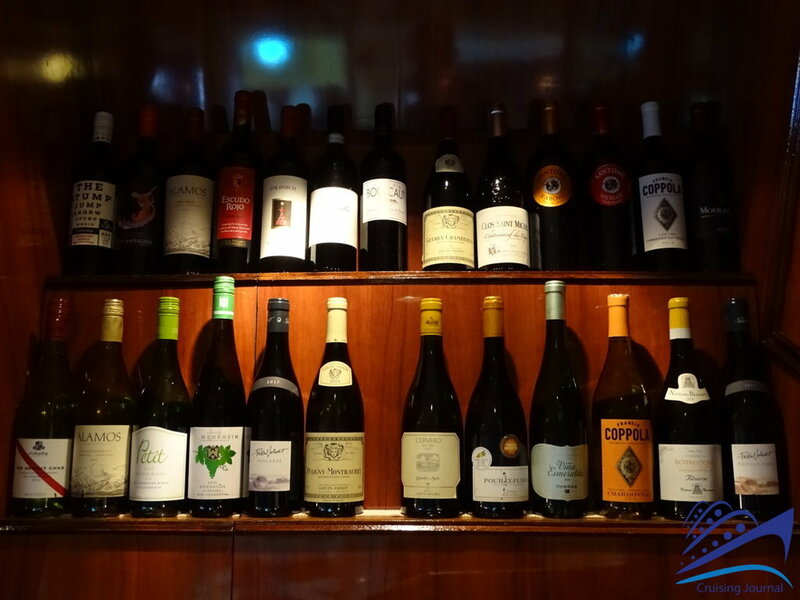 Enjoy a drink while listening to the piano, pampered by an impeccable service. 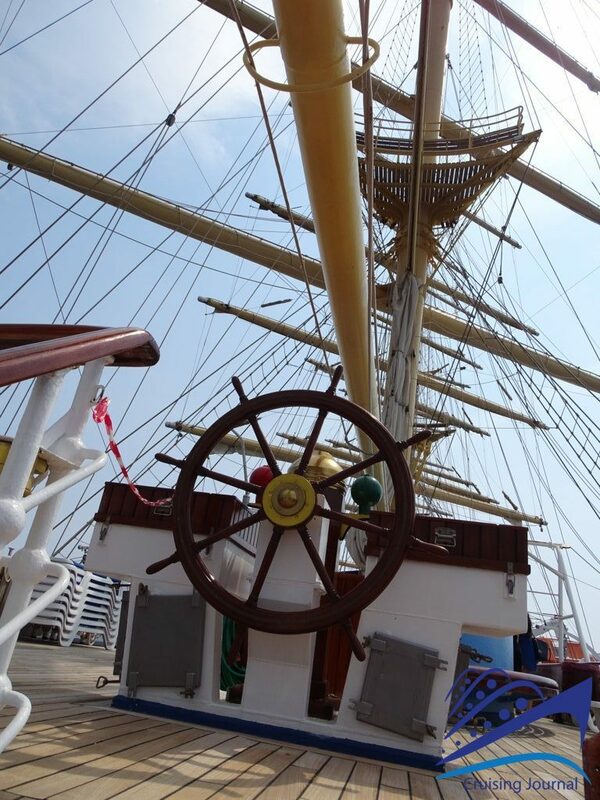 Immerse yourself in a good book and climb the mast, while the Captain explains how the sextant works. This is the Star Clippers cruise, a truly unmissable experience on Royal Clipper, the largest unit in the fleet, with all modern amenities and additional services you may need for an unforgettable sailing cruise.